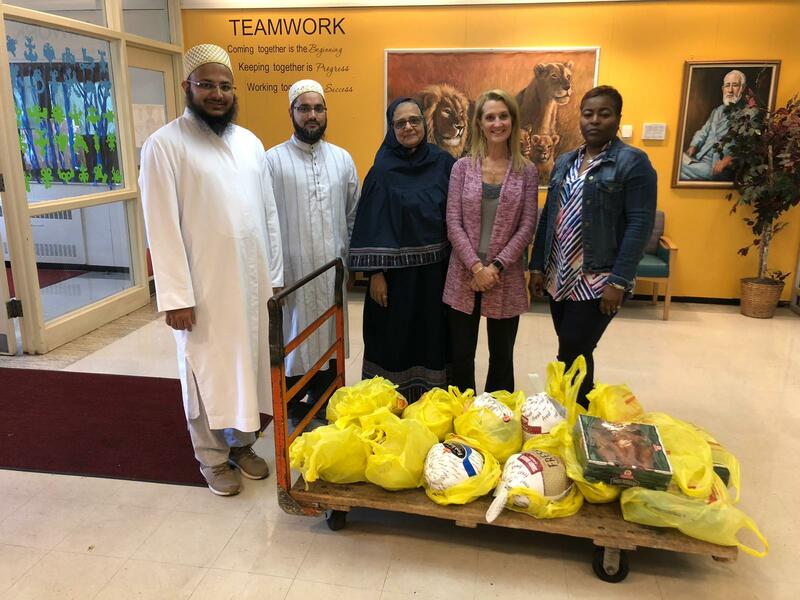 Anjuman-e-Fakhri jamaat of Philadelphia delivered 13 turkeys and boxes of yams to Bancroft Elementary School in Wilmington, Delaware this Thanksgiving. This was part of Thanksgiving celebrations which coincided this year with the auspicious occasion of Milaad un Nabi SA (birthday of the Prophet), as well as to commemorate the 5th urus mubarak of Al Muqaddas Syedna Mohammed Burhanuddin RA. The principal and vice-principal of Bancroft Elementary School welcomed members of the community and thanked them for the gifts. The turkeys and yams would make for an enjoyable Thanksgiving meal with families of less-privileged children.